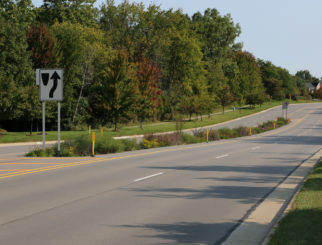 Spalding DeDecker Associates, Inc. (SD) provided construction observation and construction contract administration services to the City of Novi for rehabilitation of Meadowbrook Road between 9 Mile and 10 Mile Roads. The City’s on-going annual program is focused on improving local streets, based on the current PASER rating, which prioritizes the roadways by condition. The 2013 Major Roads Capital Preventative Maintenance Program involved concrete roadway work which included full-depth concrete panel replacements, full-depth concrete repairs of longitudinal and transverse joints, and crack and joint sawing and resealing. The project included rehabilitation of drainage structures and ADA ramp upgrades. Spalding DeDecker provided full-time construction observation for the project during construction. They were responsible for the day-to-day observation of the field operations. They also provided the notification and coordination between the Contractor and the public during construction. SD provided daily construction observation reports produced with FieldManager software, along with digital photos. These reports were delivered to the City with electronic copies. 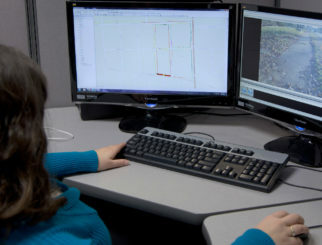 The FieldManager information was used to track the project item quantities. SD prepared work change directives, change orders, and contractor pay estimates. Construction engineering and contract administration ensured that all of the elements of the plans were constructed to specifications and completed within the budget. SD developed unique concrete pavement repair details and specifications specific to the Major Roads. MDOT and county road commission-style details were utilized as a starting point, and modified with input from the Michigan Concrete Paving Association and contractors. The result was a selection of details which matched the nature of the roadways and will lead to a greatly improved roadway for a fraction of the price of reconstruction. Northbound traffic was maintained throughout the entire project, as well as residential access to their driveways.